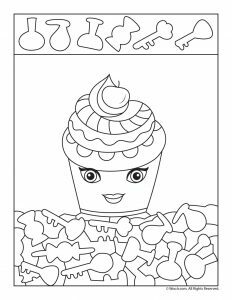 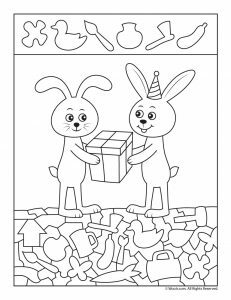 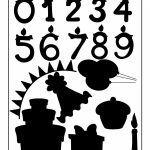 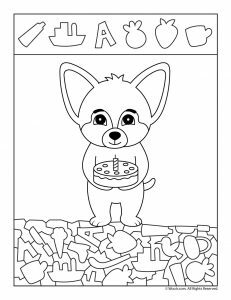 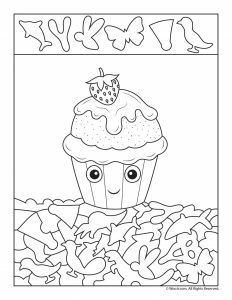 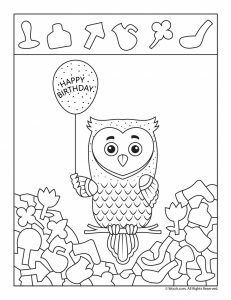 Today we’re sharing another brand new set of hidden pictures printables, this time for year round birthdays! 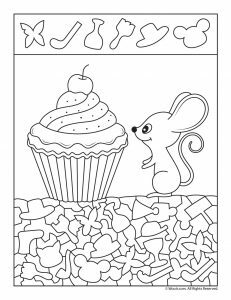 Children can hunt for all kinds of shapes in these 12 free activity pages. 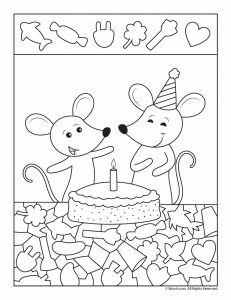 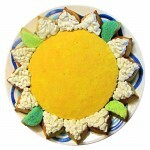 They include fun drawings of cakes & cupcakes, birthday celebrations, birthday presents and cute birthday animals. 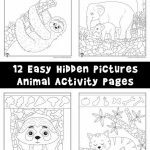 Hidden picture pages are a great quiet time activity. 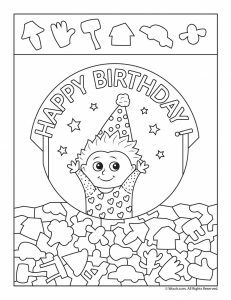 You can use them in the preschool classroom on student birthdays. 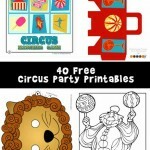 Alternatively use them as a birthday party activity for kids ages 3-5. 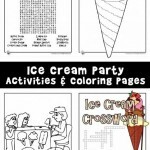 Or of you need to keep your children occupied while you prepare to host a party, print out a few extra of these! 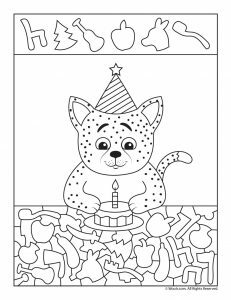 Birthday party tip: When hosting a large group of children, always have quiet activities on hand, like printables. 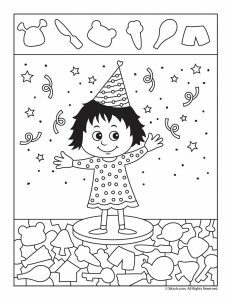 This allows children who are introverted or who are on the spectrum a way to participate without feeling left out. 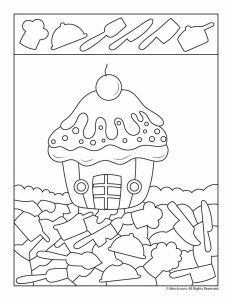 It also gives them a way to escape when large crowds get overwhelming! 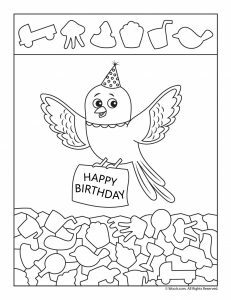 You might also like our birthday dot to dot pages!